I'VE been quiet again, and this time, it's the Olympics. Thanks to the official Olympic Channel that has HD quality live streams and replays, I've been hooked the whole time. Been spending many hours, watching and following the games, and in just two more days, it'll all be over and I'll have to get back to routine and reality. So Malaysia's won two medals :) That's a great achievement for us, let's not get into detail because that would entail a long, sensitive debate on local sports management. Datuk Lee Chong Wei brought back a silver in badminton (men's single) in a stressful match against China last week, and yesterday I woke up to an unexpected bronze from our 19-year-old diver, Pandelela Rinong Pamg in the women's 10m event. It's a great feeling to see your national flag being raised against the Olympic rings after a competition. Pandelela is Malaysia's first female to win an Olympic medal and from a sport other than badminton. Malaysia had also won a bronze through athlete M. Vasugi at the 1988 Games in Seoul for Taekwondo but the medal doesn't count in the official medal tally as taekwondo was just a demo sport then. Apparently in 1992, we'd won another bronze at the Barcelona Olympic Games while taekwondo was still a demo sport through an athelete from East Malaysia I've been told. It makes me wonder though. Surely there would've been a surge of inspirational tempest in the local scene then on developing the sport further with active programmes to reach out to youths to produce champions. But what happened ? A tempest in a teapot or a flash in the pan ? Taekwondo became a medal sport in the 2000 Sydney Olympics. Growing up in the 80s, I remember taekwondo being a cool sport among kids at schools. ( I was just one of those who wouldn't be a part of any sport that involved body contact so I played a bit of badminton and later squash and attempted tennis, but my hand-eye coordination was hopeless ). Given our history and involvement in the sport, shouldn't we be producing some world class talents already ? Perhaps, we have. Perhaps they're just unable to move forward and unleash their capabilities for some reason ? In my heart of hearts, I believe we have athletes of such quality in this discipline. Oh well. 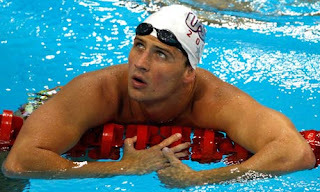 London 2012 swimming events are over with the men's 10km swimming marathon yesterday. It's been a great time in the pool with new records, faces and history made. 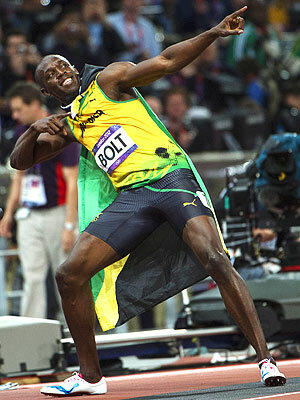 Now my other favourite, track and field events, have my full attention. Again, some of these new records are going to be staying put for some years to come. 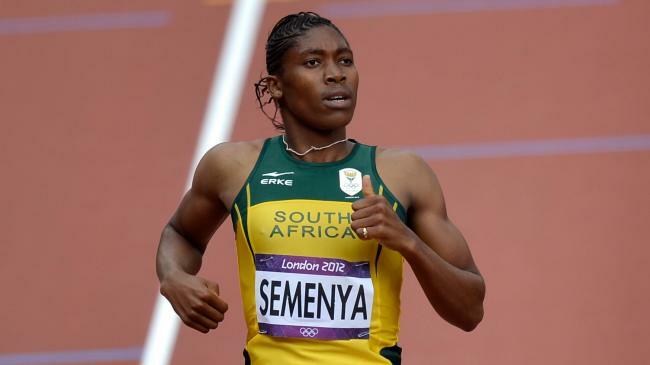 It's been a great show overall and I'm looking forward to South Africa's controversial runner Caster Semenya in the women's 800m final tomorrow. I'm really excited for the 21-year-old who was listed as one of the '50 People That Matter' for unintentionally instigating "an international and often ill-tempered debate on gender politics, feminism, and race, becoming an inspiration to gender campaigners around the world" by the British magazine New Statesman in 2010. That's Carmelita Jeter of the USA at the center - she's like a superhero. WOW when you say you are hooked you really are hooked hahaha I have yet to watch a single one, guess you make up for me. oh i am, Pat. i'll probably watch the replays when its all over. hahaha. well, not too late. you one more day to catch up! I watched the Lee Chong Wei match. It was so sad:( But at least he fought till the end. cant agree more, Gia. she really is ! Can you believe those muscles? I'm talking men and women. They are amazing. Glad you're enjoying the games. hope you are enjoying the games too! These women athletes have amazing tummies, don't they? I'd like to give one a pinch to just make sure it's as firm as it looks. but you can always pinch them to see if they're real though. coming from a gorilla, dont think they'd mind it. yeah!! she's beautiful. i know :( i dont want it to end too. glad to have you back, Raj. hope things are fine with you ?? Oh my... I only watched the badminton men's final to cheer LCW and a bit of taekwondo cos I was looking out for a fellow blogger who was volunteering. i had the tv on with LCW and on the laptop, i was following the women's 42km marathon. 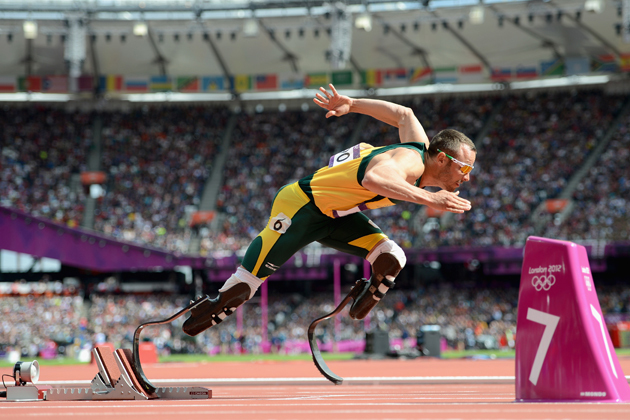 We're very proud of Caster Semenya taking the Silver medal :) And we have a lot of respect for Oscar Pistorius and all our other athletes. 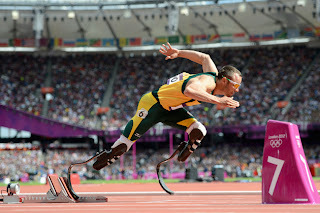 We only won about 6 medals, but I guess most South Africans didn't expect that many anyway. 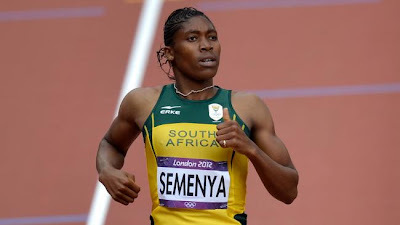 and i am proud of Semenya too ! i thought that she could have easily taken the gold - she seemed like she was holding back a little. the commentators didnt seem too kind on her, dont you think ? You're what they call an Olympaholic. Good for you and congrats on the medals! and thank you my blue friend. i know :( me too. but im so going to brazil. But it was fun watching the whole thing especially the track and field events. The closing ceremony was a let down I suppose. happy in that they are over because now I have my kids back. they were glued to the TV. ԁid you hire someonе to do it for you?